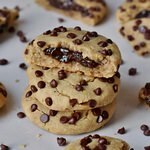 When you love chocolate chip cookies, you will love these chocolate stuffed cookies with chocolate chips even more. Because which chocolate lover doesn’t enjoy a double amount of chocolate? The filling even reminds of Nutella, however, it’s plant-based. 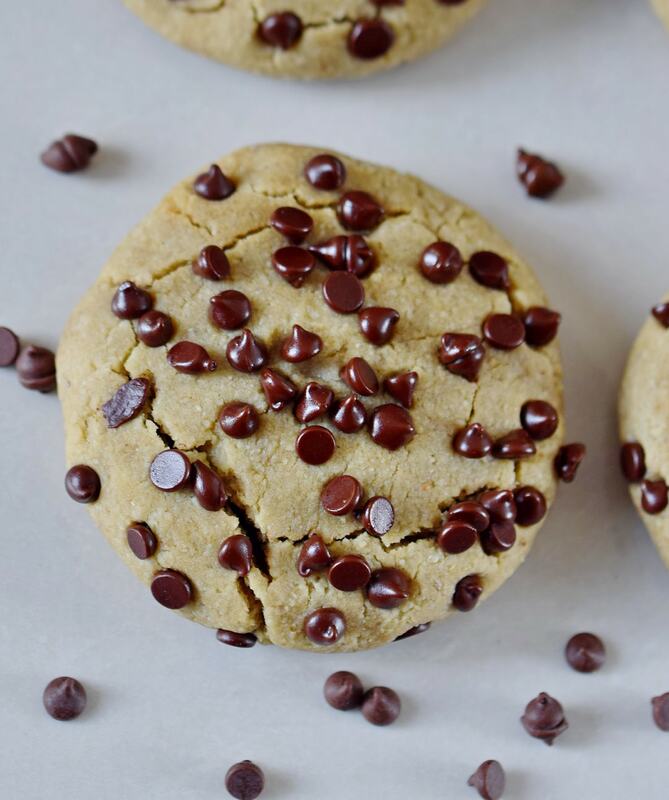 Also, there is one very special ingredient which you probably won’t believe… This dessert is super easy to make, it’s protein-rich and furthermore vegan, gluten-free, and even grain-free. I was never the biggest fan of cookies because the ones I tried were often hard and crunchy which I don’t like at all. I prefer super soft cookies which are gooey and chewy. So I experimented a lot in the kitchen and it took a while until I was satisfied. 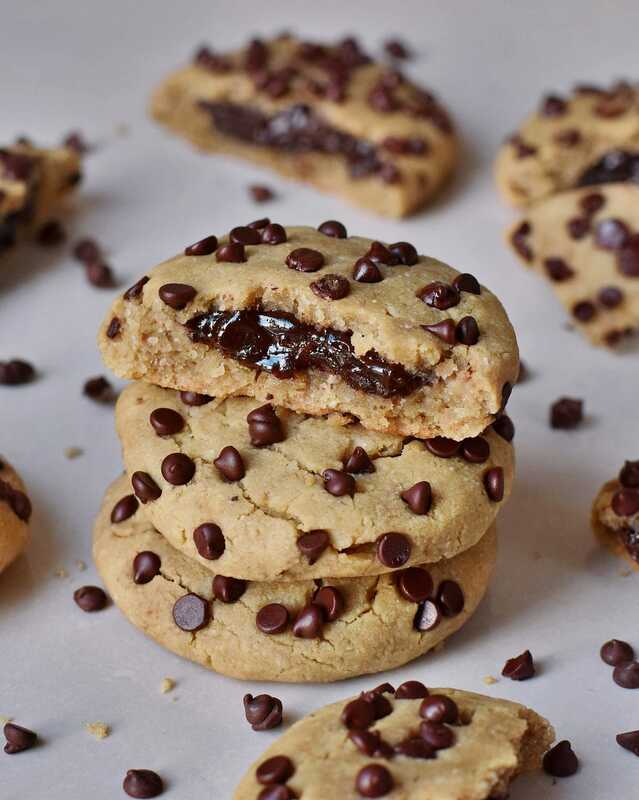 The result is these soft chocolate stuffed cookies with chocolate chips. Meanwhile, I totally changed my opinion about cookies and I actually can’t stop eating them, haha. 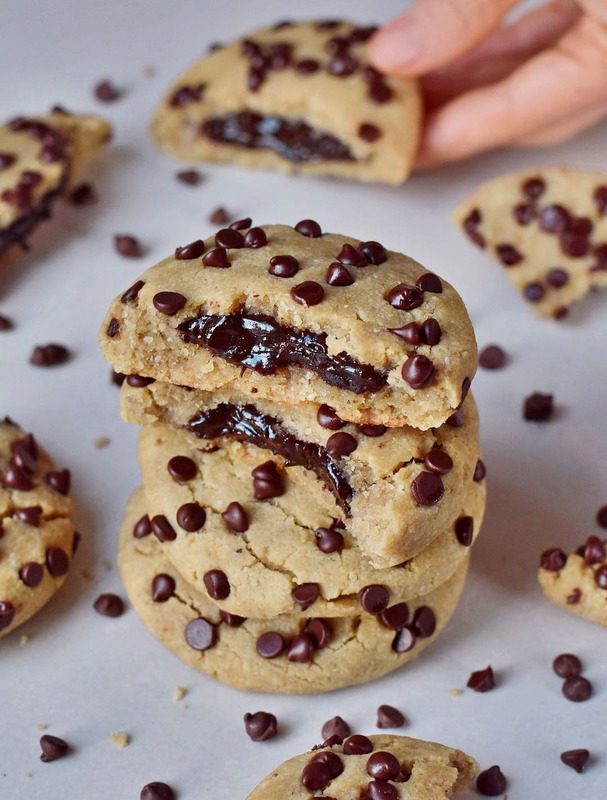 These chocolate stuffed cookies can be made nut-free. Simply use ground hemp seeds instead of ground almonds (almond flour). 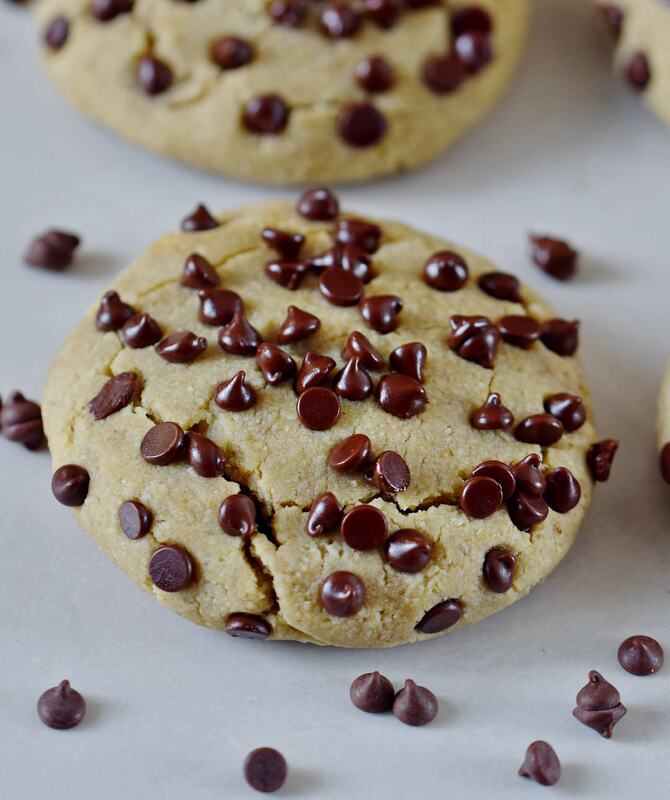 You could also use ground sunflower seeds, however, the cookies might turn green because of the following reason: The green color is a chemical reaction between the chlorophyll/chlorogenic acid in sunflower seeds and the baking powder and/or baking soda. I made this experience once when baking blondies with sunflower seed butter. The blondies later turned into greenies, lol (but they were still delicious). 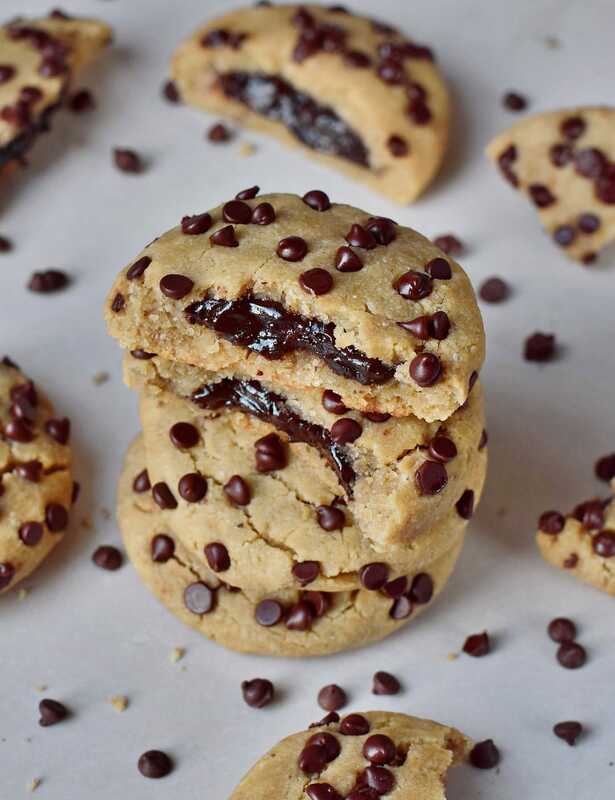 These chocolate stuffed cookies with vegan Nutella are the real deal if you are craving cookies with lots of chocolate. 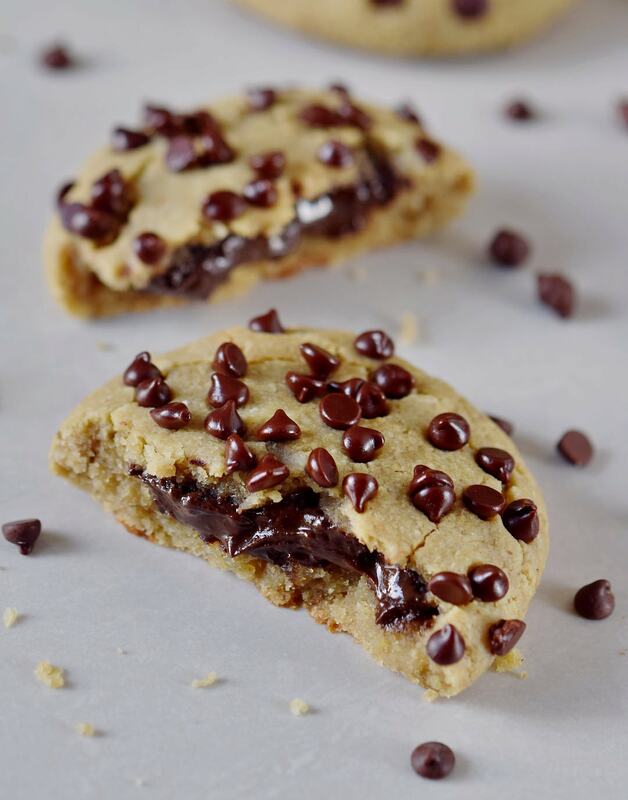 They are vegan, gluten-free, protein-rich, grain-free, and easy to make. 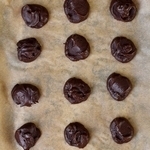 In a small saucepan, melt the dairy-free chocolate chips (e.g. in a water bath/double boiler) or in a microwave. 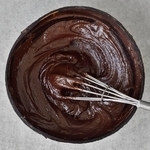 Once melted, stir in the hazelnut butter (use a whisk to combine). Put the saucepan in your fridge until the chocolate spread has the consistency of Nutella (might take approximately 30 minutes). Line a small baking sheet with parchment paper or foil. Use a spoon to dollop the chocolate spread in 8 small dollops (about 3/4 tablespoon each) onto the parchment paper (I made more because I had leftovers). Put the pan in the freezer for about 30 minutes or until firm. Preheat oven to 360 degrees F (180 degrees C). Put the white beans, maple syrup, nut butter, vanilla extract in a food processor or blender and mix until super creamy and lump-free (might take 1-2 minutes). Add the almond flour, starch, ground chia seeds, baking powder, baking soda and blend again. If the mixture appears too wet/sticky add a little bit more almond flour. Add in the chocolate chips and stir with a spoon. 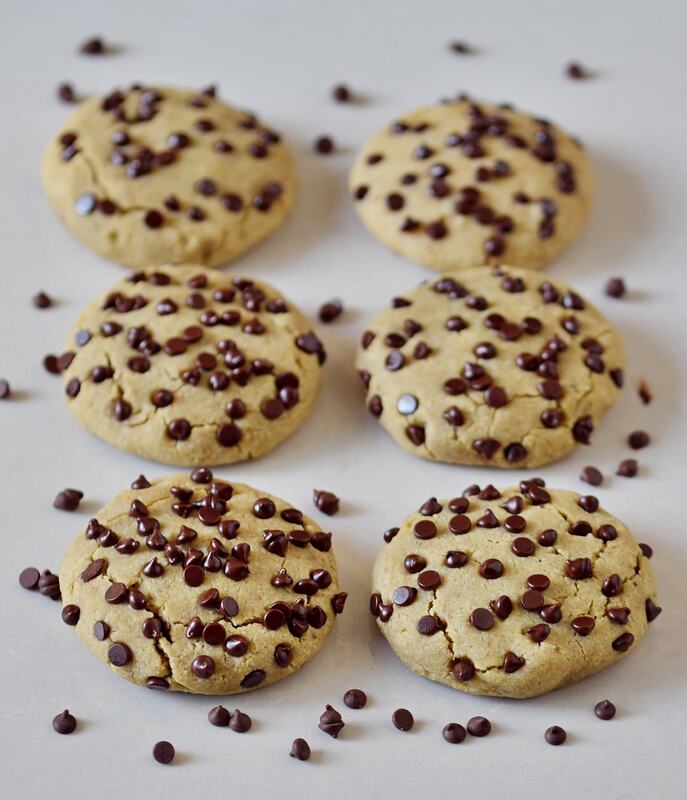 Form 8 cookie balls with your hands and place them onto a lined/greased baking sheet. Make a hole into each ball for the chocolate filling. Place the chocolate filling into each hole and carefully "seal" it (with cookie dough), so that the chocolate spread stays inside. Lightly flatten the cookie balls. Bake in the oven for about 15 minutes. 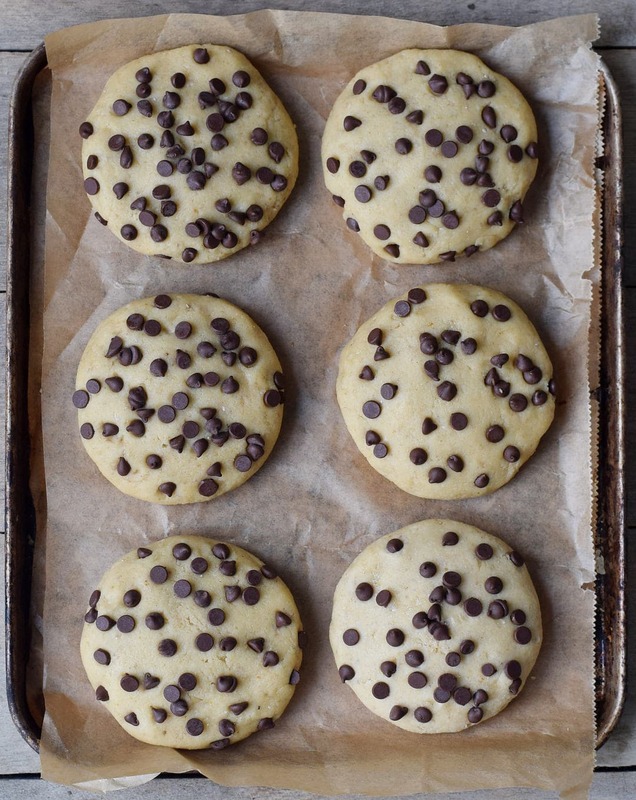 Let them cool on an oven rack, then transfer the cookies into your fridge for 20 minutes to firm up. Enjoy! Store in an airtight container in the fridge for up to 5 days. Thank you for sharing this delicious-looking recipe Ela! They sound so yummy, I was going to guess chickpeas, I was close! I would love to see your greenies ???????? Haha, thank you, Jodi! Yes, so close. 🙂 Chickpeas are also amazing in desserts. ???? I love how you used white beans here, and potato starch, so interesting. And I really like how you offer a hemp-seed nut-free option, how clever! Well done Ela!! Hello! Sounds reaaally nice! Can you also use oat flour instead of almond? Hey Tish, thanks so much for your sweet comment. I just made these cookies and they have turned out so well. My batch just needed a little less cooking time. The melted chocolate centre makes for a lovely decandent surprise for family & friends. Thank you so much for the recipe.